Tempranillo ripens earlier than other varietals. It grows around the world, but is mainly grown in the Rioja region of Spain. This varietal has been growing since Phoenicians settled in the Iberian Peninsula somewhere around 1000 BC when the wine trade was flourishing. The Phoenicians had created a widespread wine trading network around the Mediterranean Sea ports. It is possible that they started trading around 800 BC when they founded Carthage in 814 BC. They also founded Málaga, Spain in 770 BC which is on the southern coast. From there they went inland and spread winemaking throughout Spain. In 1905, Frederic Bioletti brought Tempranillo to California; it did not get a great response from people due to the pre-Prohibition era. But also the hot dry climates made it difficult for the grape to flourish. Then in the 1980’s, Californian Tempranillo started to increase when it was found that grown in rocky areas suited it best. Tempranillo is considered neutral in flavor and is often blended with other grapes like Grenache and aged in oak for a longer period of time. Tempranillo tends to have fruit flavor notes of strawberries, cherries, figs or plums. Sometimes, it can have earthier notes of cedar, leather, tobacco or vanilla. 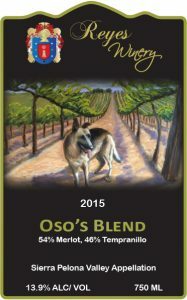 Oso’s Blend was aged in French Oak for 18 months. It is crimson in color with soft aromas of blackberry, cassis and leather. On the palate, notes of cherry, plum and ripe tomatoes with a hint of vanilla and clove are perceived. This is a blend of 54% Merlot and 46% Tempranillo. 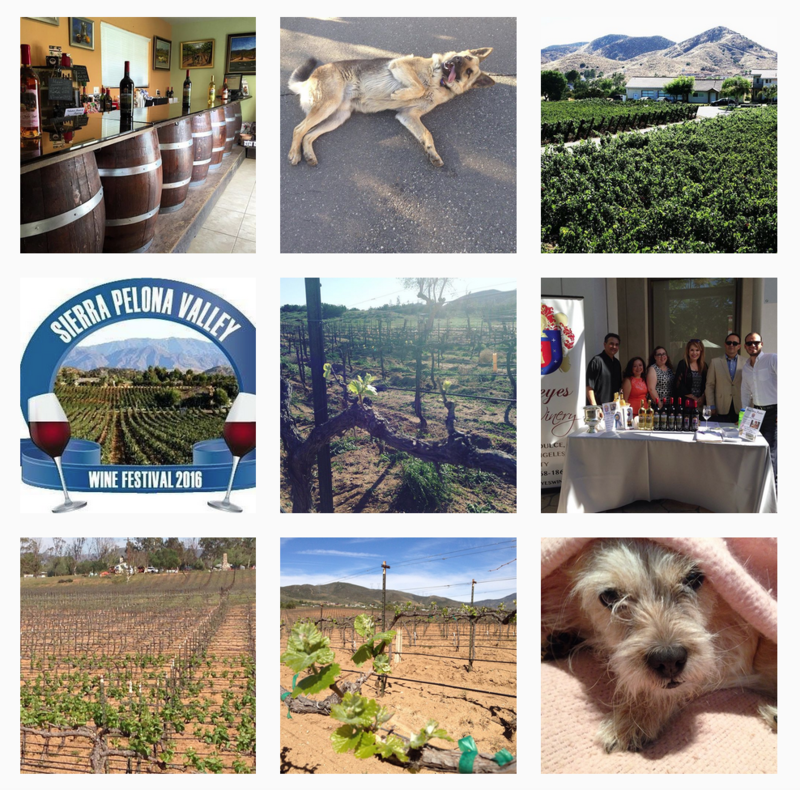 We sourced the Tempranillo from Alonso Family Vineyards in the Sierra Pelona Valley and the Merlot is estate grown. This past Sunday, we opened a bottle to celebrate Oso, whom passed away July 27th. He was the gentle giant German shepherd at the winery where he grew up and spent his life in the freedom of the vineyard. As we were enjoying it, Robert, our winemaker commented this would be great with Spaghetti and decided that was what he was making for dinner. In 2011, an organization called TAPAS (Tempranillo Advocates, Producers and Amigos Society, a nonprofit trade association, whose mission is to promote Tempranillo and other varietal wine grapes native to the Iberian Peninsula, which are produced in North America) created the first annual International Tempranillo Day to celebrate the Tempranillo grape. On November 9th this year is International Tempranillo Day. We would love for everyone to open a bottle of Tempranillo; especially Oso’s Blend and share their experiences online with the hashtag #TempranilloDay or #Tempranillo and please include #ReyesWinery!